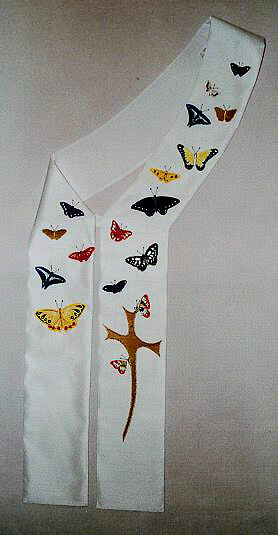 Below is a listing of pre-designed Deacon Stoles with prices. If you would like something a little different to the item listed, please get in touch and I will be happy to work with you on your new design. Please note: If the embroidered images are modified in any way, please ask for a separate quote. 1. Measure from your left shoulder, straight across the body to the right hip. 2. 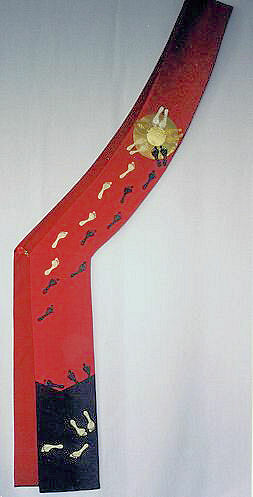 Measure from the right hip down to the bottom of the stole, or the length you require. The footprints do actually flow to the back of the lower panel of the stole before returning to the front & moving up towards the circle. See the same design on Overlay Stole number 33 for clarity. 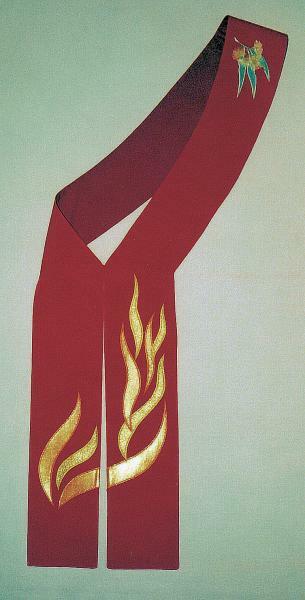 This is the same flame image as minister's stole No. 34, but with a small Australian Eucalyptus flowers embroidery added at the shoulder. Deacon Stole with the Bowl, Towel and 'Free' cross. Repentance and the Promise of New Life! 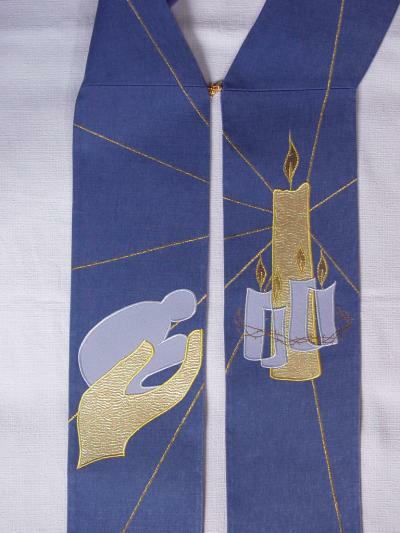 This is a close up of the image on a Deacon stole. The price given is for the completed stole. As with many Banksia species, the seed follicles of this plant must be exposed to fire before they will release their seed and regenerate. This Star image represents God's promise to Abraham. Bowl, towel and Latin Cross. 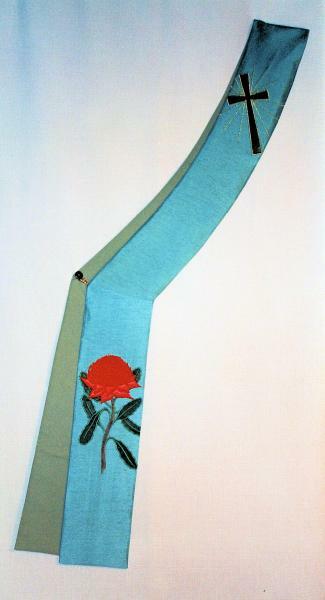 This is a modified version of the image on Minister's Stole #34, & without the flowers as on the Deacon stole #62.